As puppies cannot attend mixed classes until they are innoculated (typically between 10-12 weeks) it can often mean that the dog misses out on a significant period of their ‘socialisation/learning window’. 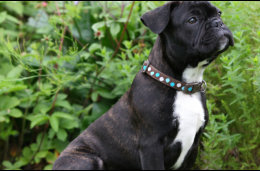 The first 4-5 months (16-20 weeks) of your puppy’s life can be some of the most informative. During this time the things they learn can stay with them forever - good or bad!!! It is therefore, extremely important to spend this time gaining trust, establishing a bond and teaching your dog some basic life skills. 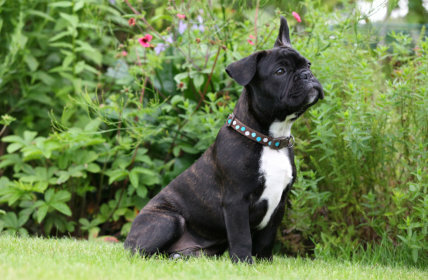 Our PUPPY POWER HEAD START training is undertaken with you in your own home. We will teach you (and your family) how to look after your puppy, how they learn and teach basic skills such as sit, down and recall using reward based training. 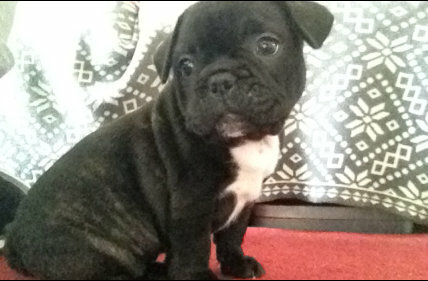 We will also advise on how you should start the socialisation process. Visits typically last between 1 and 1.5 hours and lesson times can be tailored around your lifestyle/availability. “Your puppy starts learning as soon as they enter your home so let us help them learn the right things”! PUPPY POWER TRAINING has joined forces with Abbey Dog Training in Swindon enabling us to offer training classes throughout Gloucestershire and Wiltshire. PUPPY POWER TRAINING know Abbey Dog Training well as Rachel is an approved A.P.D.T. Trainer. Our PUPPY POWER KINDERGARTEN Course is fun, rewarding and constructed to give you and your puppy the essential skills to safely behave in our scary human world! Don’t worry if you have not undertaken our Head Start Training, all is not lost. Some of the commands/skills you and your pup will learn are Sit, Down, Leave, Watch, Recall, Loose Lead Walking and how to prevent your dog from jumping up. 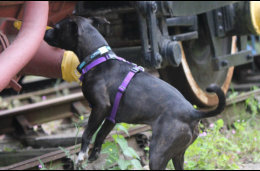 We will also show you how your dog should greet other dogs plus offer some important health check and nutrition advice. Classes are typically held in the evenings or at weekends and last around an hour with the full course duration undertaken over approximately 5 weeks. “Give your puppy fun and mental stimulation whilst teaching them how to safely behave in a human world”. 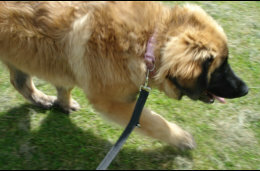 If you feel that you or your dog would learn better on a one to one basis we are more than happy to do so. This may be because your dog is a rescue, older, you require further specialist training or he/she is just a handful! 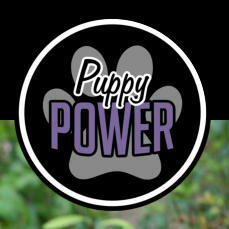 PUPPY POWER SOLO training is tailored around you and your dog’s exact needs. We offer a free no oblignation initial visit where we can discuss these needs and propose a bespoke training package that satisfactorily meets these requirements. Training would typically take place at your home or local vicinity and sessions last approximately 1 Hour. 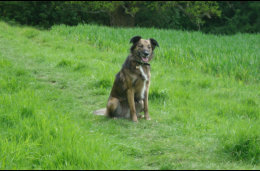 We can also offer solo training as part of our Dog Walking and Dog Sitting packages. Therefore, if you are not available at any time, we can still visit your dog and provide all the benefits of solo training with the added bonus of excercising their bodies as well as their minds. “Like people, some dogs just learn better on their own and need one to one coaching to achieve their potential”. skills you have already learnt. please contact us on 07918 934 743. Classes are typically held indoors on Saturday mornings and last around an hour with the full course duration undertaken over approximately 5 weeks. 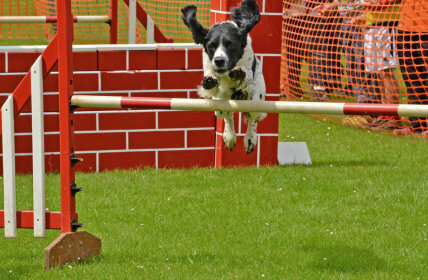 “Build upon your existing skill set and develop an even stronger bond between you and your dog”. has a life full of stimuli. we can provide you with a scented toy. Our PUPPY POWER AGILITY Foundation training has been specifically designed to allow you and your dog to learn the basic fundamentals of dog agility and is the only course of this nature approved by Whitminster Canine Activity Training Club. 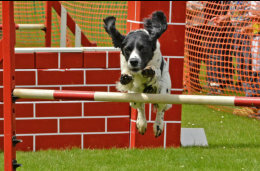 The lessons taught on this 6 week course provide the core essentials necessary before commencing onto the Whitminster Agility Beginners Class. You and your dog will learn directional commands, control stays, balance and practice tunnel and jumps utilising smaller, less daunting apparatus. Classes are typically held indoors on a Saturday morning and last around an hour. “PP Agility Foundation will give you the basic skills necessary to give you a worthwile headstart”. You Can Teach an Old Dog New Tricks!! 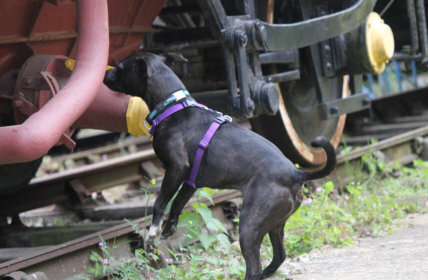 However, the earlier you can train your dog the less they are likely to need to unlearn! No matter what their age, using approved A.P.D.T. (UK Association of Pet Dog Training) methods we can tailor training to ensure that your “little monster” breaks his/her bad habits in a way that is enjoyable to both you and your dog, ensuring everyone ends up happy and well balanced! Please scroll down for a sample of the services we can offer. If your requirements are not listed please contact us and if we cannot help we will happily put you in touch with one of our specialist contacts who can. basis we are more than happy to do so. This may be because your dog is a rescue, older, you require further specialist training or he/she is just a handful! PUPPY POWER SOLO training is tailored around you and your dog’s exact needs. We offer a free no oblignation initial visit where we can discuss these needs and propose a bespoke training package that satisfactorily meets these requirements. Training would typically take place at your home or local vicinity and sessions last approximately 1 Hour. 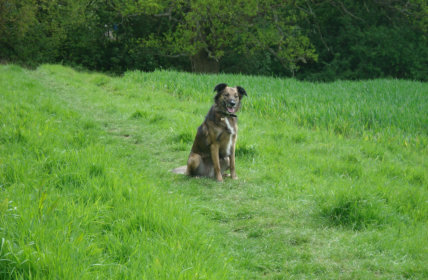 We can also offer solo training as part of our Dog Walking and Dog Sitting packages. Therefore, if you are not available at any time, we can still visit your dog and provide all the benefits of solo training with the added bonus of excercising their bodies as well as their minds. “Like people, some dogs just learn better on their own and need one to one coaching to achieve their potential”. on the skills you have already learnt. your dog develop an even stronger bond/relationship. it is in and has a life full of stimuli. can provide you with a scented toy.